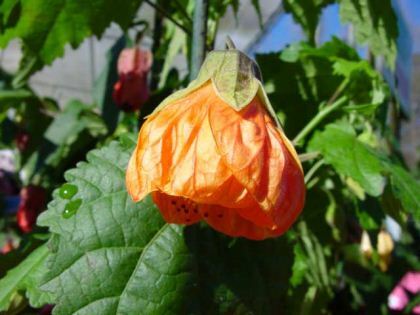 Abutilon x frazeri or the Orange Chinese Lantern is an evergreen shrub that is valued for its lovely pendulous, bell-shaped flowers. It has an erect and open habit and the leaves are deep green and shaped like a maple leaf. 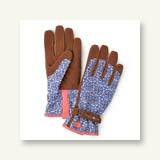 The flowers appear from spring and they tend to spot flower almost through till winter. The flowers are a rich orange and bell shaped, (they look like little lanterns, hence the common name). 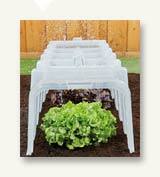 While they can tolerate shaded positions, they will generally develop a very open habit and reduced flowering.